What are the components necessary to carry out data analysis? Usually, this includes a suitable data collection process, the architecture, and infrastructure in place, access to data, transformation, techniques and models for analysis and finally the interpretation of results. Add in the Cloud element and the process is similar to what is commonly practiced, with exception to differences in the method of data generation, storage, and access. Information can be collected on a larger scale and centralized more conveniently because of the scalability and broad network access feature when using cloud infrastructure. Data is also now remotely hosted but the access is ubiquitous. Applications and services operating on a cloud platform can be accessed worldwide by users on connected computers and smartphones. 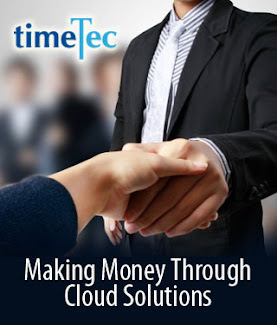 In TimeTec TA, essentially what we offer is a system that captures, stores and processes the data of working hours for employees using cloud technology. With cloud, the data is simply generated through more methods, capable of incorporating the interaction from many computer browsers and mobile devices. So, how does cloud change data analysis for the better? 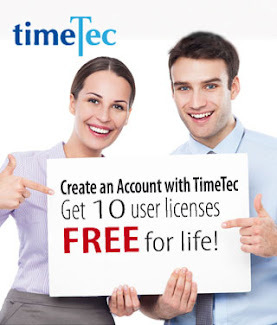 When we use the cloud software such as TimeTec TA for time and attendance, it leads to better data accessibility as the privilege of access can now be offered to all employees based on company policies and role settings. Each staff can access their own attendance records in real time and request for amendments where necessary. This gives them the chance to manage their own time and fosters responsibility for their own performance. Using system role, direct supervisors who work with employees on a day to day basis is given the tool to effectively manage people in their own team. Information sharing becomes straightforward and aligned with operational needs and personnel responsibilities. By giving access to relevant information within limits, these people can also analyze patterns in the working hours and spot inconsistencies or non-compliance instead of leaving it all in the hands of the Human Resource Manager or Administrative staff. Over here at TimeTec, we are constantly working on making improvements and product enhancements to deliver the best possible user experience to customers. To achieve that, we need to understand our users’ needs, and naturally, this entails gathering information and customer feedback before making changes. We also established a mechanism such as ‘Request Form’ for users to directly share their thoughts or submit features request within the software. Due to the nature of a cloud-based system, performing clear analysis in this step is even more crucial as the eventual solution when it goes live; as it is immediately and simultaneously available to all users. However, the upside is that this becomes an opportunity for us to achieve a better response time for our customers. Data analysis these days can be done on many levels, be it basic and rudimentary or done through business intelligence applications with highly tailored dashboards or even using the latest processing engines on very huge datasets. Whichever way used, the purpose is to get meaningful insights and preclude bias in supporting decision making. As mentioned above, due to the connected and elastic nature of cloud, data can be collected on a larger scale and from more sources such as from devices or sensors. Generally, being able to gather more information is better so as to give us a more complete and well-rounded picture of things. However, this also presents new opportunities and challenges in terms of using complementary data sources, integrating them and choosing the best analysis techniques and ways to interpret data. We wouldn’t want to be making flawed interpretations and bad decisions based on the data. To go a step further, with some of the analysis software moving to cloud drives, information and analysis results are becoming even more accessible in organizations. For instance, Time Warner Cable’s B to B Sales Division use the Salesforce Cloud for analytics and forecasting. Amazon also has recently launched their Kinesis Analytics, a new service for its AWS cloud platform allowing developers to analyze data being streamed to their servers in real time. Cloud technology has indeed changed the way we collect, store, analyze and share data in the workplace today. And I reckon that cloud has made its way into the world we live in and it’s here to stay. Ms Lai Yuen Kuan is a Monash University Graduate in Business and Commerce, majoring in Accounting & Finance. 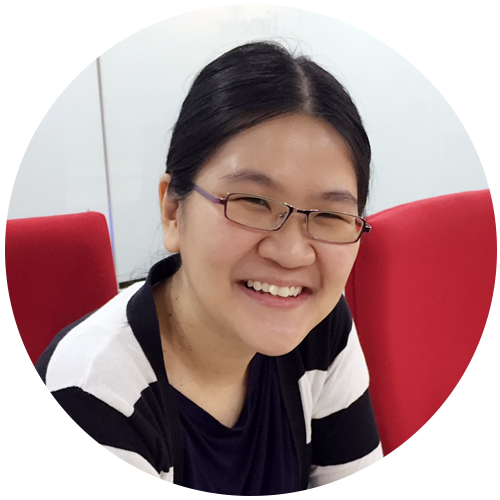 She worked at KPMG Malaysia as an Auditor for 5 years and now serving TimeTec as a Data Analyst.